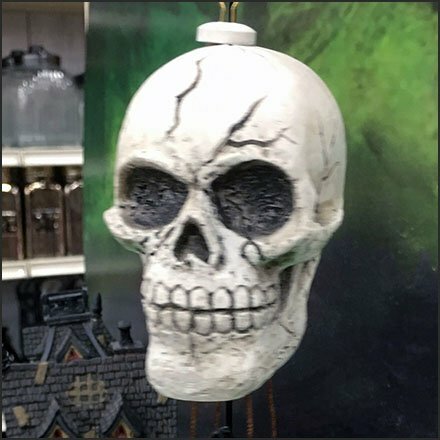 A Skull is the near perfect shape for this Halloween Spooky Town Village Hot Air Balloon Video. And there is no missing it given the size of the Skull relative to miniature landscape below. Plus orbiting above the village gives all spectators a clear view. This Spooky Town Village Hot Air Balloon Video courtesy of FixturesCloseUp and Michaels Stores.